ITC Infotech has partnered with industry leaders in diverse areas. We leverage our partners’ domain expertise to enhance and strengthen our offerings. The Copycat Limited based in Nairobi, Kenya, is a leading office automation and information technology (IT) company that provides IT solutions and services in East Africa. They offer cabling solutions, power backup and protection solutions, unified communications, biometric authentication systems, financial management systems, integration information management systems, telemedicine systems, hardware maintenance solutions and several others. As part of the expansion strategy in East Africa, ITC Infotech has partnered with CopyCat Ltd. for joint capability building, localization and to drive new business development. 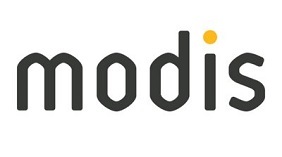 Modis exists to connect the smartest people and brightest businesses to the opportunities they need to thrive. As a global leader in professional solutions for IT, engineering and life sciences, they deliver agile end-to-end solutions for their customers, including professional staffing and consulting, project services, managed services, customised solutions, and outsourcing projects. ITC Infotech has partnered with Modis to leverage their deep domain and technology expertise to offer robust global delivery models to clients in the oil & gas, mining and logistics, public sector, energy and commercial sectors. Our combined service offerings would include business analytics, mobility, custom application development, application managed services, business process management, CRM and ERP. ObjectEdge is a Commerce Solutions firm that helps clients drive profitable growth in digital channels. They have become one of the largest independent provider of Oracle’s Commerce Solutions by focusing on and understanding the client’s business needs, which allows them to craft specific solutions that drives returns quickly. For their B2C clients, they design, build, and operate digital lines of business that allows clients to identify customer segments and service them appropriately. For B2B clients, they transform the appropriate high-touch sales processes to self-service, allowing their clients to more efficiently place orders and learn about relevant products. ITC Infotech and ObjectEdge partner to provide specialized offerings in B2C & B2B commerce by leveraging the strong geographical presence and reach of ITC Infotech in EMEA (Europe, Middle East & Africa) region. Our partnership leverages ObjectEdge's competency in Commerce solutions with leading OEM’s like Oracle, IBM and SAP coupled with practitioner’s approach of ITC Infotech in industries like Retail, Consumer and Airlines. 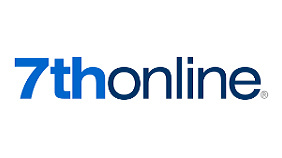 7thonline is a leading provider of cross-channel merchandise and assortment management solutions to the Apparel, Footwear, and Accessories industries. Deployed in the cloud or as enterprise software, 7thonline solutions enable more effective planning, demand forecasting, and inventory optimization for fast-growing, omni-channel, leading brands. With embedded business intelligence and rich analytics, the company's solutions offer complete demand visibility and planning capabilities for wholesale, retail, and e-commerce—enabling increased sales, reduced markdowns, improved margins, and enhanced profitability. ITC Infotech has partnered with 7thonline to build upon its Merchandise Planning & Execution offerings for new customers as well as for existing retail and wholesale customers. ITC Infotech and 7thonline as alliance Partners will be working towards co-selling, implementation, testing and support services for 7thonline. Adobe Systems is the global leader in digital marketing and digital media technology solutions that enables its customers to create groundbreaking digital content, deploy it across media and devices, measure and optimize it over time and achieve greater business success. Adobe helps customers make, manage, measure and monetize their digital content across every channel and screen. ITC Infotech has partnered with Adobe to provide digital transformation & digital marketing solutions to its customers. Combining ITC Infotech’s strength of Business Domain and Adobe’s state-of-the-art digital marketing platform, we offer world class interactive marketing solutions and services to our customers. Their ambition is to facilitate the entire travel journey from door to door, whilst improving the travel ‘experience’ for hundreds of millions of people every year. This is achieved by connecting key players in the travel industry: travel agencies, corporations, airlines, airports, hotels, railways and more. They provide these companies with the tools to serve travelers better and to manage their own business more effectively. Amadeus is at the heart of the global travel industry and are dedicated to working with customers and partners to shape the future of travel. At ITC Infotech, we aim to consolidate and continue to build our knowledge and experience in the Airlines PSS area and become the premier provider of services around PSS to airlines. Our PSS focus is along two dimensions – Business process knowledge and Platform & applications knowledge. ITC Infotech partners with Amadeus, a leading provider of technology platform for airline PSS, to deliver better value proposition to Airlines and the Travel sector through deeper product platform knowledge, implementation, service delivery collaboration and integrated support models. Using AWS, businesses can take advantage of Amazon's expertise and economies of scale to access resources when their business needs them, delivering results faster and at a lower cost. 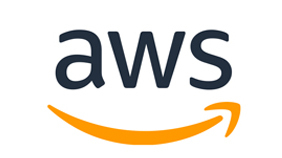 Amazon Web Services provides a highly reliable, scalable, low-cost infrastructure platform in the cloud that powers hundreds of thousands of businesses in 190 countries around the world. With data center locations in the U.S., Europe, Singapore, and Japan, customers across all industries are taking advantage of our low cost, elastic, open and flexible, secure platform. The ultimate benefit of cloud computing, and AWS, is the ability to leverage a new business model and turn capital infrastructure expenses into variable costs. Businesses no longer need to plan and procure servers and other IT resources weeks or months in advance. ITC Infotech strengthened its cloud services by signing up as AWS Consulting Partners. This helps ITC Infotech’s customers avail professional services that help them design, architect, build, migrate, and manage their workloads and applications on AWS. Anaplan is a leading platform provider driving a new age of Connected Planning. Large and fast-growing organizations use Anaplan’s cloud platform in every business function to make better-informed decisions and drive faster, more effective planning processes. Anaplan also provides support, training, and planning transformation advisory services. ITC InfoTech partners with Anaplan to help global businesses transform their planning processes and realize quantum business value through our differentiated "Intelligent & Connected Planning" perspectives. Our Partnership with Anaplan is for Supply chain planning solutions for CPG, Equipment and Industrial Manufacturing, Retail, Airlines, After-market Supply Chain industries and lines of businesses. We provide transformation advisory services, consulting and maturity assessments, functional and technical implementation support, training, deployment, and IT services support. Our partnership leverages rich consulting experience, more effective planning processes and also includes planning transformation for some of the largest CPG companies in the world. Anaplan delivers a single real-time, cloud-based environment to advance an organization’s S&OP process maturity. S&OP managers and other teams are empowered to re-plan quickly, create scenarios on disruptions and easily adjust the planning models to match the changing business realities. Our Anaplan Supply chain solutions include Sales and Operations Planning (S&OP), Demand Planning, Rough Cut Capacity / Long Term Capacity (RCCP/LTCP) Planning, and Supply Chain What-if Simulations. Anaplan helps reap the benefits of a mature S&OP process including a 7% improvement in cash flow and 6% improvement in gross profit (Gartner). 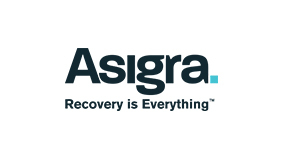 Headquartered in Canada, Asigra is a leading Cloud Backup and Recovery software company that delivers the solution through partners in the cloud or on-premise and for everything from mobile devices to entire data centers. Over the last three decades, Asigra has been pioneering in data protection technologies to provide business continuity and fool-proof disaster recovery strategies to industries. ITC Infotech strengthened its cloud-based backup and recovery services portfolio through its global partnership with Asigra. This partnership enables ITC Infotech to deliver end-to-end, comprehensive and enterprise-class backup and recovery service, capable of scaling across vertical markets and organizations of every size and scope. Powered by Asigra, a robust, one stop solution, that will address backup and recovery needs as well as provide edge-to-core protection with a single platform for Servers, Desktops, Laptops, Tablets and Mobiles. 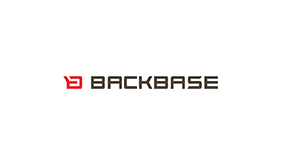 Backbase is a software company with a mission to help financial institutions create, manage, and optimize secure omni-channel customer interactions. Their product Backbase CXP is the world’s leading lean customer experience platform which has been designed to help clients organize, create and manage deeply relevant customer experiences across all channels & any device. They have also created Backbase DBP, their digital banking solution, optimized for retail banking, commercial banking and wealth management scenarios. In line with ITC Infotech’s 5D Strategy, where Digital is one of the critical focus areas, ITC Infotech partnered with Backbase to provide our customers with the best-of-breed, packaged offering to deliver the best customer experience on digital platform. With ITC Infotech’s domain expertise and customer reach, we are working with Backbase to expand its presence in verticals such as Healthcare, Retail, Travel and Hospitality. We are confident that our customers will see a significant value from this partnership. 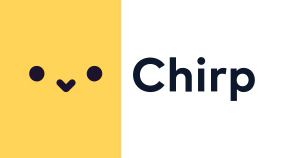 London-based company, Chirp, is a global leader in data-over-sound communications. The key advantage of this technology is the ability to broadcast small amounts of digital data to multiple devices without using networks. Chirp has developed fully interoperable software development kits (SDKs) of their technology on a wide range of platforms. ITC Infotech and Chirp have partnered to jointly develop innovative solutions that harness data-over-sound for data packaging and coding to allow communication between devices even in the absence of a communication network, and deliver them to businesses and consumers on a global scale. The joint partnership will help in capability building and solution development to fast track creation of industry specific proof-of-concepts (POCs) and real-world mass-scale projects. Conemis software automates and manages the transition process to enterprise applications in the cloud. With the mission to engineer software transition, conemis equips migration teams with a cloud platform that makes project success rapid, repeatable, and reliable. With offices in Germany, the United States, and India, the independent German company offers easy-to-use solutions for data migration, consolidation, synchronization, and archiving including pre-built connectors for leading cloud applications and legacy systems. Conemis aims to disrupt the old methods for handling data in order to provide organizations better, more exacting ways of migration that lower risk through engineering and best practices. They are experts in software as a service (SaaS) and cloud computing and stand well-connected in a network of global players and world class research institutions. ITC Infotech’s partnership with Conemis is to add value all around. Our customers will benefit from our enhanced cloud migration capabilities, built using Conemis tools. ITC Infotech is an authorized Conemis services partner globally, which enables us to meet customer and client needs. This partnership also serves to deepen our ties by strengthening our services capability to take on cloud migration projects to customers globally. Digi.me is a personal data exchange platform that allows consumers to gather together information currently scattered around the web and share it on their terms under the company’s bespoke Consent Access process. Digi.me is working with world-leading businesses in the health, finance, FMCG and telco sectors on projects unlocking the benefits of targeted and consented data sharing for both consumers and organisations. To date digi.me has raised more than $10M in investor funding and has teams in the UK, Europe and North America. At ITC Infotech, we continue to invest in solutions that would enable our clients to deliver the best value and experience to their end customers. To this end we have partnered with Digi.me, a SwissRE InsureTech venture, to deliver a differentiated value proposition to our clients, primarily in the BFSI and Healthcare space. We have come together to deliver a solution that not only provides the end user with a single view of all their data, but also puts them in control of the data that they would like to be exchanged with our clients, enabling better customer engagement and service delivery through richer insights. 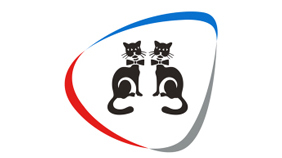 Headquartered in Germany, Dr. Lauterbach & Partner is a leading printing and packaging solution provider. It offers pre-configured business solution based on the world-leading SAP™ ERP software for critical areas like controlling, accounting, purchase, materials management, sales, production planning and scheduling, quality management and shipping. LP is the first to offer SAP-JDF workflow integration of pre-press, press and post-press execution systems. The partnership with LP has enabled ITC Infotech to offer value-added IT services and enhanced domain-led SAP solutions to global customers. Finastra is one of the top 3 Fintech Companies in the world with a vision to transform the global financial institutions by making them more resilient, more efficient and more competitive through their broadest and deepest portfolio of mission critical, market leading solutions in retail and corporate banking, lending, treasury, capital markets, investment management and enterprise risk. Finastra (Formerly Misys) has supported thousands of clients with valuable insights into the changing banking and financial services landscape. Their customers have the confidence that their business is supported by a reliable, proven and robust range of solutions focused on the financial services industry. With its long-standing partnership with Finastra (Misys), ITC Infotech has been the trusted partner for some of Finastra’s top customers across Asia, Middle East and Europe. As a Premier Elite Partner to Finastra, our capability spreads across different product suites viz. a. FusionCapital across Treasury and Investment Management, b. FusionBanking Essence / Digital Channels - Core and Channels platform across Retail, Corporate Banking, Loans & Mortgages, and Trade Finance delivered through our Center Of Excellence dedicated to Finastra Products powered by domain certified expert consultants. ITC Infotech has a strong Treasury, Risk Management, and Investment Banking expertise across the Capital Markets value chain from Buy Side to Sell Side of Finastra Product Suite including FusionInvest, FusionCapital & FusionRisk. ITC Infotech has helped Clients reduce their TCO through value additions such as re-usable utilities, accelerator packs, automated regression testing packs and quick starts for upgrades, configuration, testing, support services and implementation. Flexera Software helps application producers and enterprises manage application usage and increase the value they derive from their software. Our next-generation software licensing, compliance, security and installation solutions are essential to ensure continuous licensing compliance, optimize software investments and future-proof businesses against the risks and costs of constantly changing technology. 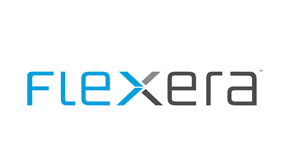 Over 80,000 customers turn to Flexera Software as a trusted and neutral source for the knowledge and expertise they have gained as the marketplace leader for over 20 years and for the automation and intelligence designed into their products. End-user workplace solutions is a key focus area within ITC Infotech. Over the years, we have strengthened our portfolio of services in this area and can offer comprehensive services in this area. Application lifecycle management is one of the key offerings under this category. 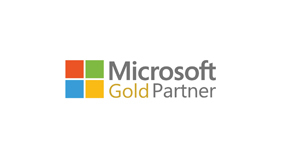 Our partnership with Flexera helps us in the overall application readiness journey and license optimization. Flexera tools are an integral part of our solutions where we provide end-to-end solutions to our customers using differentiated delivery models. GE is the world leader in innovation of the Industrial Internet of Things. 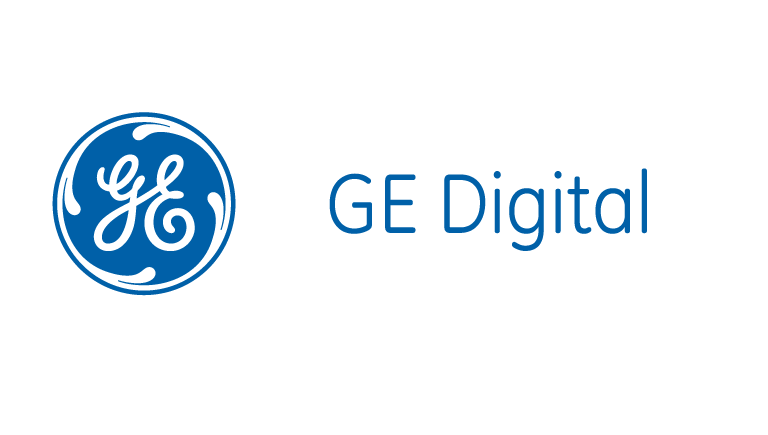 GE Digital is focused on the development and optimization of next-generation digital products and software solutions that will continue to streamline manufacturing and improve operational efficacies. GE Digital connects streams of machine data to powerful analytics and people, providing industrial companies with valuable insights to manage assets and operations more efficiently. World-class talent and software capabilities help drive digital industrial transformation for big gains in productivity, availability and longevity. They do this by leveraging Predix, a cloud-based operating system, purpose built for the unique needs of industry. ITC Infotech’s IoT offerings catalyze digital transformation for clients in the industries like Retail, Logistics, CPG, and Manufacturing and provide solutions like Supply chain Management and Asset Performance Management. As an IoT partner, ITC Infotech delivers a comprehensive approach to integration across all five IoT layers – edge, connectivity, service layer, analytics and enterprise system integration. ITC Infotech and GE Digital are partnering to help customers drive digital industrial transformation with IoT solutions. This will boost client’s revenues by increasing production efficacies, operator’s safety, better supply chain process and improving product/service quality. ITC Infotech is helping our customers transition to the new world of digitaligence@work. This transformation is software driven and enabled by new technologies around Cloud, Data and Analytics, development processes around Agile, DevOps, architectures using containers - all built in a secure environment. 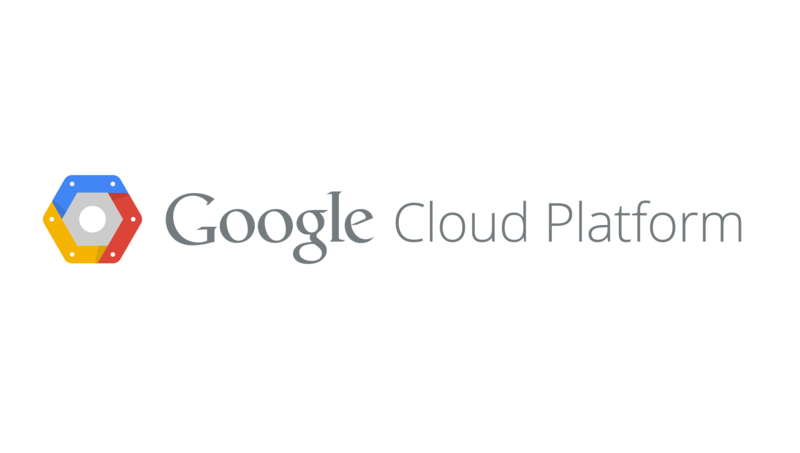 Google Cloud Platform offers all the tools needed to enable such a transformation. ITC Infotech helps our customers leverage such powerful tools. Our partnership with Google gives us the expertise to advise and guide you along this transformation journey. 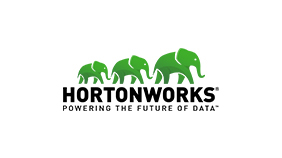 Hortonworks, the leading commercial vendor of Apache Hadoop, offers a best-in-class open source platform for storing, managing, and analyzing big data. The Hortonworks Data Platform, known for offering an open and stable foundation for enterprises, creates the ideal ecosystem for building and deploying big data solutions. Recognized as the most trusted source for information on Hadoop, it works in tandem with the Apache community to make Hadoop more robust and easier to install, manage, and use. ITC Infotech has partnered with Hortonworks to create a real-time analytics dashboard application for retail. This association has helped ITC Infotech to develop a cutting-edge solution that can help customers track the impact of re-pricing on sales and continuously compare it with social sentiment. Hewlett Packard Enterprises helps customers use technology to slash the time it takes to turn ideas into value. In turn, helping them transform industries, markets and lives. Some of their customers run traditional IT environments. Most are transitioning to a secure, cloud-enabled, mobile-friendly infrastructure. Many rely on a combination of both. 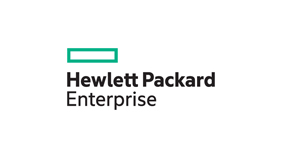 Wherever they are in that journey, Hewlett Packard Enterprises provide the technology and solutions to help them succeed. ITC Infotech partners with HP Enterprises to provide a spectrum of services in the Enterprise Management Services space. Powered with the HP Enterprise toolset, ITC Infotech services its customers with the server, network, application and end user monitoring solutions tightly integrated to service management cloud management solutions. IBM, a multinational technology and consulting company, makes and markets computer software and hardware. A market leader with global presence, it also offers hosting, infrastructure and consulting services in varied areas. Their solutions range from analytics, cloud computing and DevOps to enterprise modernization, social collaboration and security. ITC Infotech’s business partnership with IBM is built on strong knowledge management practices. At ITC Infotech we are helping our customers transition to the new world of Digitaligence@work. This transformation is software driven and enabled by new technologies around Cloud, Big Data, Advanced Analytics, Machine Learning, Natural Language Processing and IoT using both on-premise and cloud based solutions all built in a secure environment. Moreover, our customers need quick time to value and end-to-end solutions for their business transformation journey. IBM Data & Cloud platforms offer a comprehensive set of tools needed to enable such a transformation. ITC Infotech helps our customers leverage and integrate such powerful tools into their IT environment. Our partnership with IBM gives us the expertise to advise and guide our customers along this transformation journey. 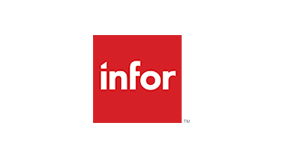 ITC Infotech partnered with Infor in Europe, Middle East & Africa for Infor SunSystems Financials as an Alliance Partner. ITC Infotech as a partner works with Infor for co-selling, implementation, testing and support services for SunSystems Financials with a focus on the Hospitality Industry. Informatica is a leading independent software provider focused on delivering transformative innovation for the future of all things - data, in the cloud, on-premise or in a hybrid environment. The Informatica product portfolio is focused on data integration: ETL, information lifecycle management, B2B data exchange, cloud data integration, complex event processing, data masking, data quality, data replication, data virtualization and master data management. Organizations around the world rely on Informatica to realize their information potential and drive top business imperatives by fully leveraging their information assets. ITC Infotech has OEM partnership with Informatica to build data integration solutions and frameworks that handle Data Submission, Transformation, Data Validation and Monitoring Module challenges and transfer control to business teams with minimal IT support. ITC Infotech’s Partner Data Manager Tool brings the flexibility of Data Integration, Security, Validation, Traceability, Handbacks, and Flexible Configuration in a scalable manner. 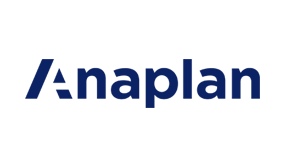 LLamasoft, a software company based in Michigan, is known for helping enterprises design and improve their supply chain operations. It enables organizations to model, optimize and simulate their existing supply chain operations, which helps them save costs, improve services, ensure sustainability and mitigate risk effectively. ITC Infotech strengthened its supply chain services portfolio through its global partnership with LLamasoft Inc. This partnership enables ITC Infotech to deliver LLamasoft’s globally-recognized strategic supply chain design tools. As part of this partnership, ITC Infotech is a LLamasoft alliance partner, reseller, consulting partner and service provider. 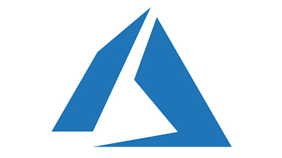 Microsoft Azure, is a cloud computing platform, developed and managed by Microsoft Corporation. It is used to create, deploy, and manage all types of applications within a Microsoft managed datacenter, including websites and databases. It also supports many different tools, frameworks, and programming languages that are either specific to Microsoft or offered by third-party software companies. ITC Infotech partners with Microsoft on the Cloud Solution Provider program enabling it to directly manage customers cloud, utilize dedicated in-product tools to directly provision, manage and support customer subscriptions. Customers can more easily purchase partner tools, products, and/or services with their subscription in one predictable monthly bill. Beyond the inherent benefits of the cloud, customers will have more frequent partner interactions which can serve to deepen the relationship. Microsoft is a leading multinational that develops, manufactures, supports, licenses and sells consumer electronics, personal computers, computer software and services. Movilizer is a leading European Mobile Enterprise Application Platform (MEAP) that enables companies to reinvent their mobile business. Movilizer empowers enterprises to develop new innovation and business models by making any field process available on any mobile device and at the same time interconnecting them with the enterprise back-end system and with each other. ITC Infotech’s deep domain expertise offers innovative mobile solutions to customers across chosen verticals. Movilizer’s MEAP platform provides us an ideal base to enable powerful and innovative mobile solutions seamlessly integrated with the enterprise back-end. 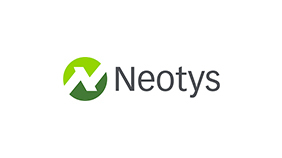 Since 2005, Neotys has numerous customers across the globe enhance the reliability, performance, and quality of their web and mobile applications. Their next-gen load and performance monitoring solutions are flexible, easy to use and scalable. Their technology allows for fast, efficient and frequent testing, which helps enterprises identify bottlenecks and root causes quickly. ITC Infotech has established a strategic partnership with Neotys to create cutting-edge testing solutions. With more than 420,000 customers and deployments in more than 145 countries, Oracle offers a comprehensive and fully integrated stack of cloud applications, platform services, and engineered systems. 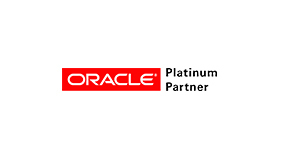 ITC Infotech is a Platinum member of the Oracle Partner Network (OPN). The partnership also enables us to leverage our expertise and competency in Consumer Packaged Goods (CPG) and Travel, Hospitality and Transportation (THT) domains to develop go-to-market strategies across the globe, enabling faster response to market requirements and customer needs. PTC enables manufacturers to achieve sustained product and service advantage. 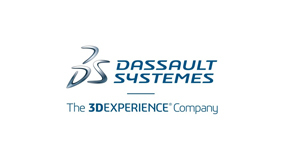 The company's technology solutions transform the way products are created and serviced across the entire product lifecycle - from conception and design to sourcing and service. Founded in 1985, PTC employs over 6,000 professionals serving more than 27,000 businesses in rapidly-evolving, globally distributed manufacturing industries worldwide. Salesforce Inc. is a cloud computing company headquartered in California. It is best known for its CRM (customer relationship management) product that streamlines and automates business processes, providing insights and analysis of important client and sales data, enhancing customer experience. 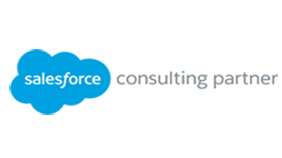 ITC Infotech has recently become a ‘Cloud Alliance’ partner of Salesforce. SAP is a market leader in enterprise software and software related services. Headquartered in Walldorf, it builds technologies that cater to specific business needs. The partnership with SAP has given us an opportunity to be involved in several SAP implementations, including one of the largest SAP rollouts in Asia. ITC Infotech partners with ServiceNow to provide its service management for every department in the enterprise including IT, human resources, facilities, field service and more. ServiceNow ITSM solutions provide end to end visibility into your ITIL processes and infrastructure through a single system of record — making it possible to consolidate fragmented tools and legacy systems while automating service management processes. Founded in 2008, focused exclusively on Health Plans, Simplify Healthcare has developed deep expertise in Benefit Plan Management, Provider Data and Contract Management and Value-based Reimbursement. They believe that by addressing critical pain points with their solutions, health plans will be able to improve quality, reduce costs, improve speed to market and eventually bend the healthcare cost curve. The company’s vision is to build highly configurable, modular software solutions with the right balance of usability and technology, empowering business users with the ability to configure the system with minimal IT intervention. Simplify Healthcare aims to be the market leader, providing end-to-end solutions to health plans and TPAs for their benefit plan management, provider data-contract and value based reimbursement needs. SunTec is a global provider of customer experience orchestration solutions. Their mission is to enable enterprises deliver the promised value to the stakeholders through products which continuously abstract value insights to manage value spaces and orchestrate them across eco-systems. Catering to the Financial Services and Digital & Communications Services industries, SunTec’s award-winning product suite, Xelerate®, helps orchestrate superior customer experiences and deliver remarkable lifetime value to them. Deployed in over 60 countries, it has impacted 300 million end customers. 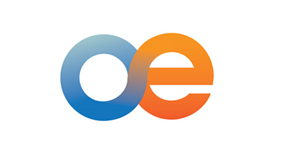 The range of industries served by SunTec include Financial Services (Corporate Banking, Retail Banking, Investment Management, Cards Services, GST Management, Open Banking, VAT for Financial Institutions in GCC Countries); Digital Communication Services (Enterprise, IOT, Media) and Revenue Management for Travel Management Companies. Our partnership with SunTec will give access to new Product/Services which will help ITC Infotech scout new business opportunities, reach out to new market and geographies and gain existing client confidence by cross selling. It will enable us to venture further into the BFS clientele with specific and targeted services and help differentiate ourselves in the industry and gain edge over other players and service providers. Tableau Software helps people see and understand data. Offering a revolutionary new approach to business intelligence, Tableau allows you to quickly connect, visualize, and share data with a seamless experience from the PC to the iPad. Tableau software makes analyzing data fast, easy, beautiful and useful. It’s a software for anyone and everyone. ITC Infotech has partnered with Tableau to provide clients a compelling alternative to traditional BI. With Tableau, we intend to empower our clients with self-service BI that enables them to analyze, visualize and communicate information in the most effective way possible. 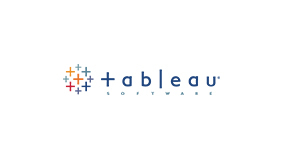 Tableau Practice is focused on ensuring innovative, scalable and sustainable information delivery solutions to customers. ThingWorx™, a PTC Business, provides the first platform designed to efficiently build and run the applications of today’s connected world. ThingWorx’s model-based design and search-based intelligence reduces application development effort by 10X, minimizes cost, risk and time to market. 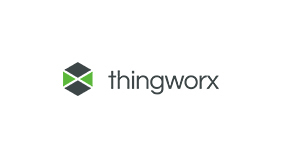 The ThingWorx platform combines the key functionality of Web 2.0, search, and social collaboration, and applies it to the world of “things,” including connected products, machines, sensors, and industrial equipment. Businesses use the ThingWorx platform to rapidly deliver innovative applications and connected solutions across markets ranging from manufacturing, energy, and food, to Machine-to-Machine (M2M) remote monitoring and service, as well as in emerging Internet of Things applications, including smart cities, smart grid, agriculture, and transportation. UiPath is a leading enterprise robotic process automation (RPA) software company and at the forefront of the digital business revolution, enabling the rapid deployment of software robots that dramatically improve business productivity, compliance and customer service across back-office and front-office operations. ITC Infotech has partnered with UiPath to deliver best in class automation solutions across the industries using cutting edge technology of UiPath enterprise robotic process automation (RPA) platform. Strong technology foundation of UiPath based on open architecture and AI led visions helps realize better business value for our customers. ITC Infotech strengthened its cloud-based services offering to provide state-of-the-art Enterprise Class Cloud Services powered by Virtustream. Virtustream Enterprise Cloud was designed to run complex business applications, with better performance, greater agility, higher security and superior economics. With an “application-first” approach, informed by years of application experience, the Virtustream Enterprise Cloud can improve performance and minimize costs of your most critical assets—all while providing robust, integrated security and compliance solutions. Zycus is a global provider of complete Source-to-Pay suite of procurement performance solutions. They have executed 250+ successful deployments for some of the best-of-breed companies across various verticals including Manufacturing, Automotives, Banking and Finance, Oil and Gas, Food Processing, Electronics, Telecommunications, Chemicals, Health and Pharma, Education and more. ITC has had engagements with Zycus to create sourcing strategies and build business cases based on analyses of spend, improve contracting efficiency and streamline payment processes, and implementation of the same through macros based excel tools. With its proven leadership in source-to-pay domain and with its best in class technology platform it will provide ITC Infotech with the much needed technological advantage which will compliment and complete the entire S2P offering. Want to partner with ITC Infotech?